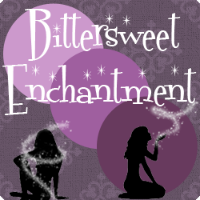 Bittersweet Enchantment: Blog Tour - Book Review: Arrows by Melissa Gorzelanczyk + Giveaway: win a SIGNED copy! 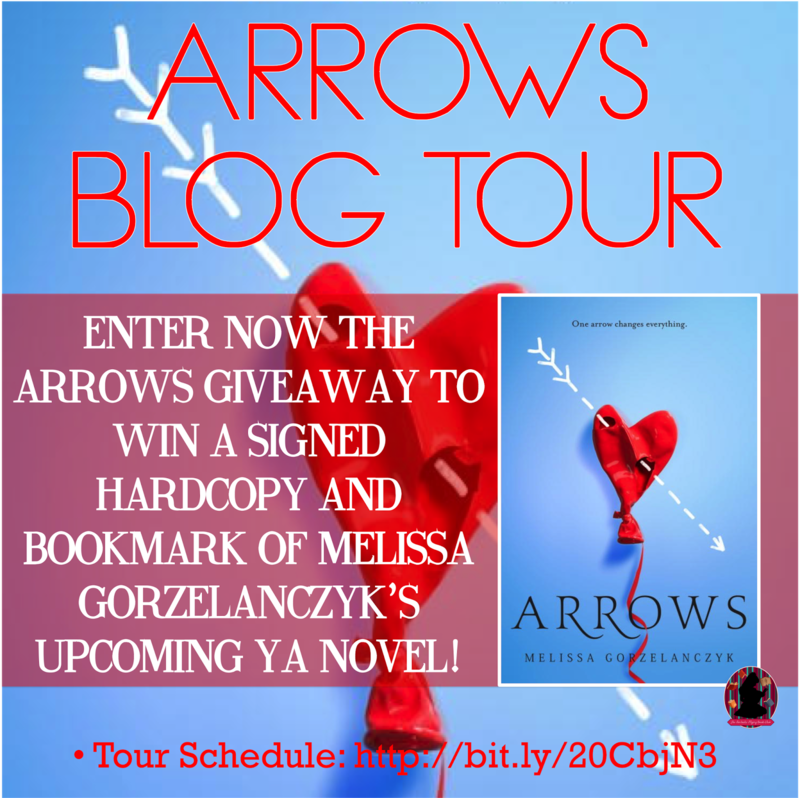 Blog Tour - Book Review: Arrows by Melissa Gorzelanczyk + Giveaway: win a SIGNED copy! 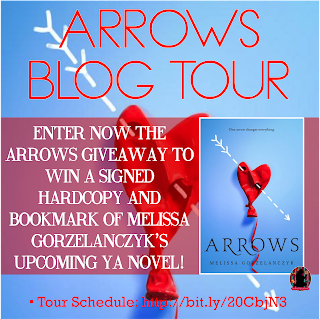 Welcome to the blog tour for Arrows by Melissa Gorzelanczyk! 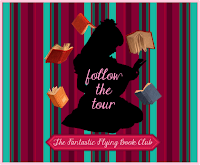 I am so excited to be able to share my review for this amazing book! You guys are going to absolutely love ARROWS! Be sure to enter the giveaway below to win a signed copy of the book. Want to read an excerpt of Arrows? Click here! 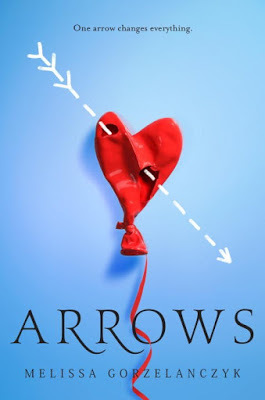 Arrows combines three of my favorite types of genres in YA fiction, Mythology, retellings, and romance. This fun and unique take on the classic Cupid story set in present-day, was not only magical but EPIC in every way. 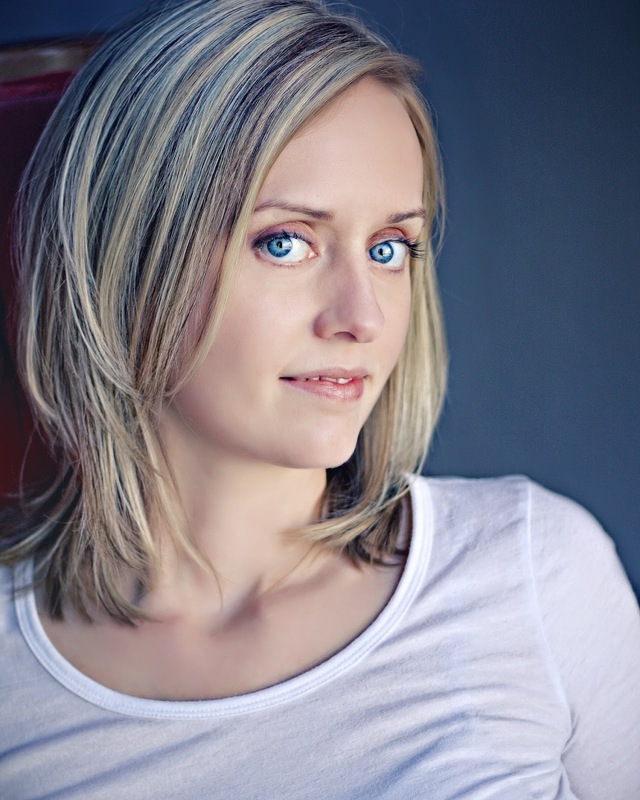 A breath of fresh air, author Melissa Gorzelanczyk writes from the heart and gives her readers a story they won't soon forget! Son of the legendary Cupid, Aaryn is in-training to be a "cupid" just like his Dad. Love is never easy to find and Aaryn is destined to help lonely souls on earth find their true love with just a prick of an arrow. 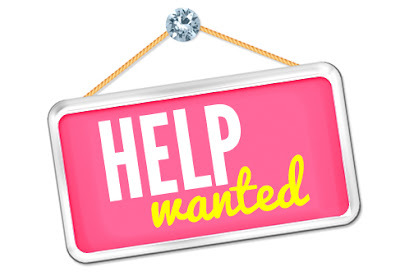 Aaryn is about to graduate but need to find one last couple to bring together but notices too late that there is only one arrow left in his bag. In a hurry, he decides to only shoot a girl named Karma with his last arrow, leaving the Danny untouched. Thus hoping it will be enough to spout true love between the two. Now a full-fledged Cupid, Aaryn tried to forget about that night and move on to helping others in need, but the past is about to catch up with him. Cupid, Aaryn Dad finally learns the truth and forces his son to return to earth as a human to right the wrong he made a year ago. He learns that Karma had gotten pregnant and now has a baby named Nell. Her dreams of being a professional ballet dancer are now on pause but would have been a real if not for being a teen Mom. While Karma is hopelessly in love with Danny, Danny is far from settling down with a family and marriage. It's Aaryn job to help Danny fall in love and marry Karma, to set his wrong right and return to being a God. As Aaryn tries to pick up the pieces of his mistake, he begins to have feelings for Karma. Feelings he knows he should never have for a human and ones that could get him into a lot of trouble. Will Aaryn be able to bring Danny and Karma together or will love find its own way, to someone else's heart? Find out by reading ARROWS! I loved this retelling of Cupid. I loved Aaryn. I loved Karma. I loved hated Danny. I loved how broken Karma was and how I could feel her sadness through the authors words. I loved how much Aaryn cared so deeply for Karma, more than Danny ever would or could. I loved seeing the slow burn of romance bloom between Karma and Aaryn. And I loved more than anything, that in the end true LOVE conquers all, no arrows needed. If I could give ARROWS more than 5 stars I would, in a heartbeat. I give mad props to author Melissa Gorzelanczyk for writing such a heartbreakingly beautiful retelling of Cupid. I immensely enjoyed reading this novel. I highly recommend it to everyone, especially those who adore mythology, retellings, and romance in YA fiction. 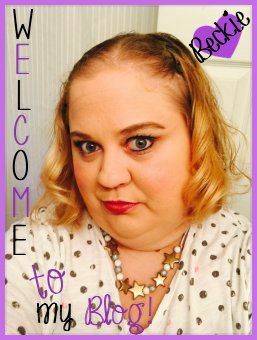 You're going to LOVE to love this book!